The Mozarteum University at Mirabellplatz 1 houses under one roof all the artistic departments concerned with musical training at the Mozarteum University: conducting, composition and music theory, keyboard instruments, string and plucked instruments, wind and percussion instruments, music-theatre with a large opera studio, as well as musicology and music educational theory. 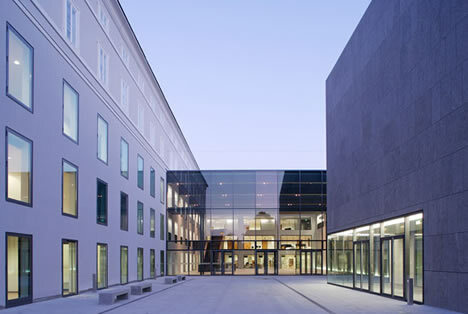 Architecturally the New Mozarteum - built by Architect Robert Rechenauer in 2006 - opens out towards the city, large glass foyers invite Salzburgers and guests to pay a visit. 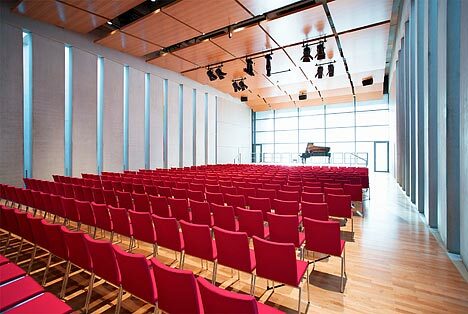 The chamber music hall known as the Solitär, the Large Studio and the smaller function rooms make the New Mozarteum a new, young, creative and high quality cultural centre in Salzburg. The function rooms can also be hired (christian.breckner@moz.ac.at). In 1979 the Mozarteum Academy, as it was then, moved from the Schwarzstrasse into the newly renovated palace of the prince-archbishop Paris Lodron. Wolfgang Amadé Mozart was allegedly a guest in that house and also gave concerts there. 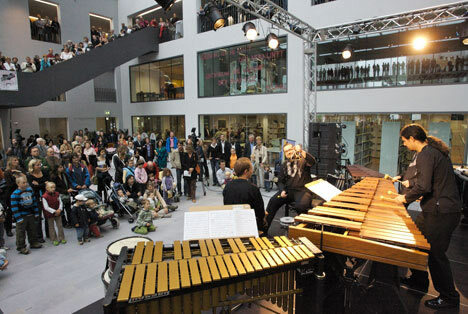 In the spring of 2004, as the winner of an international competition, the Munich architect Robert Rechenauer and his office began work on the general renovation of the building. 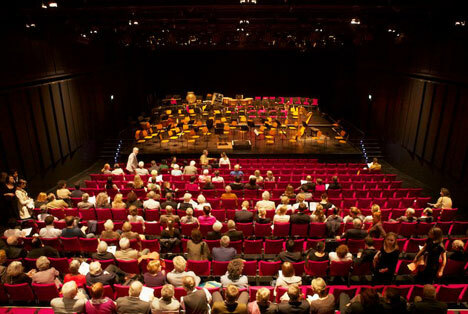 In Mozart Year 2006 it was finally opened with great success.